Leave it to fellow Goodboy Ron “Cubby” Myerow to send his holiday greetings to the Nation accompanied by a picture of this fine (and I must say, anatomically bewitching) statue of the late actress Elizabeth Montgomery in her role as the witchy wife of the classic TV series “Bewitched”, as it stands in the Cubster’s humble abode of Salem, Massachusetts. 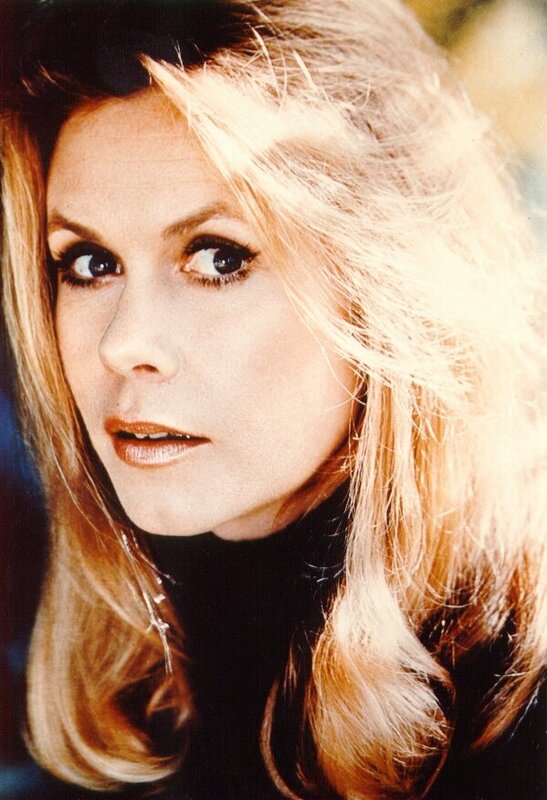 Growing up in the ’60s, I must say Elizabeth Montgomery, at least to this growing teen, was one tall cool glass of water, if you know what I mean. Others in Goodboys Nation (like Cubby, for example) might choose her competition from a similar kind of TV series(that being, “I Dream of Jeannie” and the lovely Barbara Eden), but me, I’ll stay with Liz. BTW, a similar kind of debate still rages among men gathered together over a brewskie or two when it comes to “Gilligan’s Island”. I mean, everyone knows there’s really only two kinds of men out there – “Ginger” men and “Mary Ann” men. (Of course, that’s not taking into account those men who would consider themselves “Professor” men, but that’s a subject for a different time, and I don’t wanna get into it!) Me, I’ve always been a “Mary Ann” guy, but I’m sure that puts me in a VERY small minority amongst the Goodboys – I know how those guys’ minds work. Thanks for the picture, Cub – a bewitching holiday season to you as well! I’m a Mary Ann and Elizabeth man, myself. We tried to stay at The Coach House Inn (The innkeeper pronounced it Koash) in Salem when we were up there 20 years ago but there was no vacancy anywhere in Salem. Ended up at a B&B in Newburyport. I knew there was more than just bogging we had in common Rob! A B&B in Newburyport sounjds like a diversion for the holiday season. Sorry about your Saints today – they came close. From what little I saw, too many mistakes. Planned a “fall foliage” New England vacation back in 1986. Had one week reserved on Cape Cod and decided we’d freewheel the rest of the time. We had a great time but there were challenges. All of affordable Boston was booked for the duration. The Great White Shank can do $400 per night without breaking a sweat but I can’t. We bought Sox tickets in April. As luck would have it, they clinched the night before and almost all of the starters were scratched for our game against the Orioles. I’ll post some pictures from that night some day. That’s a great story Rob – I’ll look forward to those pics. Too bad you weren’t blogging then – then you could have afforded that $400 per night stay and put it on your CrabAppleLane Blog expense account!